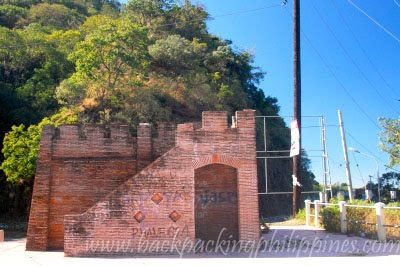 On the way to Vigan where Tutubi wasn't able to find the missing watchtower in the town of Santa, a red brick structure caught his attention that made him stop to look around. 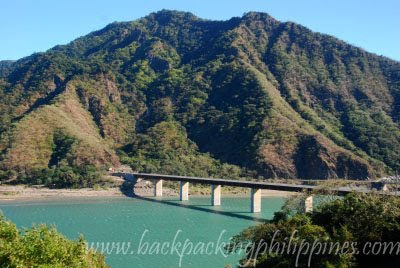 What greeted him was a magnificent viewdeck with sweeping vista of the wide Abra River, the twin bridges of Banaoang Bridge (also called Quirino Bridge) and the newer bridge just beside it. 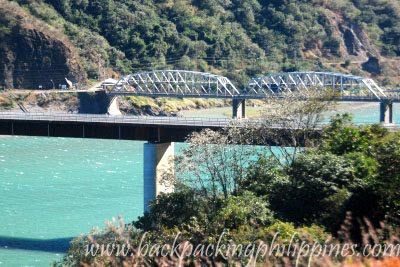 Quirino Bridge, also called Banaoang Bridge as it's located in Barangay Banaoang, Santa, Ilocos Sur, is no longer used and replaced with a newer bridge. 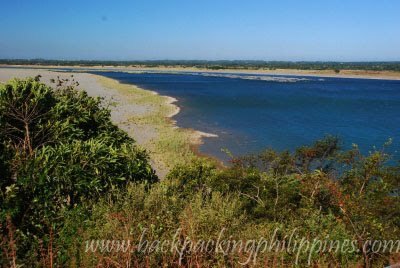 It connects the towns of Santa and Bantay and approximately fifteen minutes away from the heritage city of Vigan. Interesting structure. I wonder where was the missing watchtower you had been looking for. Anyway, I'm just curious if your blog accepts guest writers or contributors. Because if you do, I would really love to guest post here about tourism in Cebu and Davao. Thanks and Kudos to your blog! 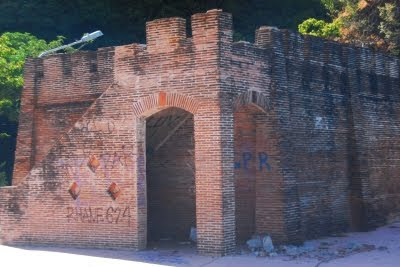 nonoy, the santa watchtower should be near the santa poblacion but it's now in ruins and sorry state locals even are unaware of it. i should've visited santa catholic church and the beach there. I'm also not into sponsored posts. I'm blogging based on my personal opinion. Ok well then perhaps in the future you will allow me to write. And by the time you approve my request I will have prepared a post about a certain place that I've visited..